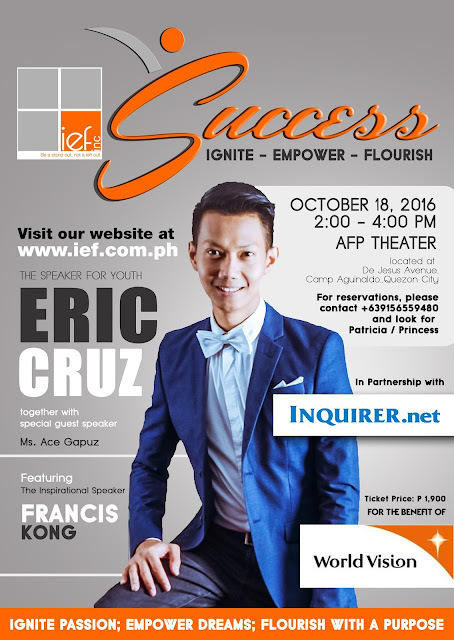 IEF Inc. holds a seminar dubbed as "Success: Ignite - Empower - Flourish" to be given by most sought-after speaker and best-selling author Francis Kong on October 18, 2016 (2:00-4:00pm) at AFP Theater at De Jesus Camp Aguinaldo in Quezon City. Speakers also include Ace Gapuz and Eric Cruz. I have met Mr. Francis Kong some years ago and I have witnessed how he walk his talk. He is a life coach and an expert on business leadership. His books have been translated in various languages and best-sellers across the globe. This seminar on "Success: Ignite - Empower - Flourish" will teach the participants of all ages how to succeed in life. - whether you are a student, a young professional or even someone who have already done so much in life. 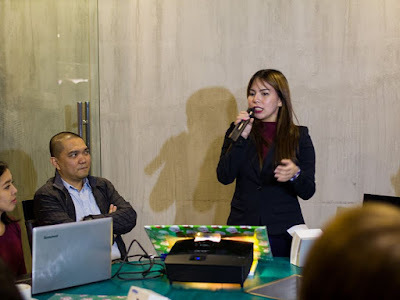 According to Ignite Empower Flourish (IEF) Chief Executive Officer Kristine Marcelo, "A successful person is not only being someone else, but being the best person you can possibly be." During the presscon, she shared how this seminar can have a significant impact to the participants. And it's up to them how to apply what they learn from this seminar. Great news for students! 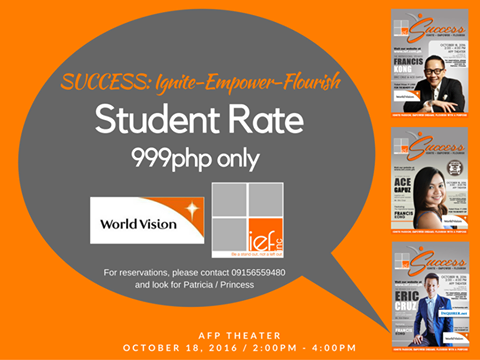 For as low as PhP999, you can now avail the tickets for the seminar, SUCCESS: Ignite-Empower-Flourish! IEF Inc. believes that organizational and societal success starts from an equipped individual aware of his own relevance ad purpose. The organization was built with the genuine intention of spreading inspiration and encouragement through motivational talks, events and workshops. VISION: To ignite brilliant ideas, empower confidence and inspire minds to flourish, with the greater purpose of creating an eventual positive impact to the society, one small group at a time. MISSION: To deliver value driven messages of awareness, influence and experiences to sectors, places and people in conscious and unconscious need of it. 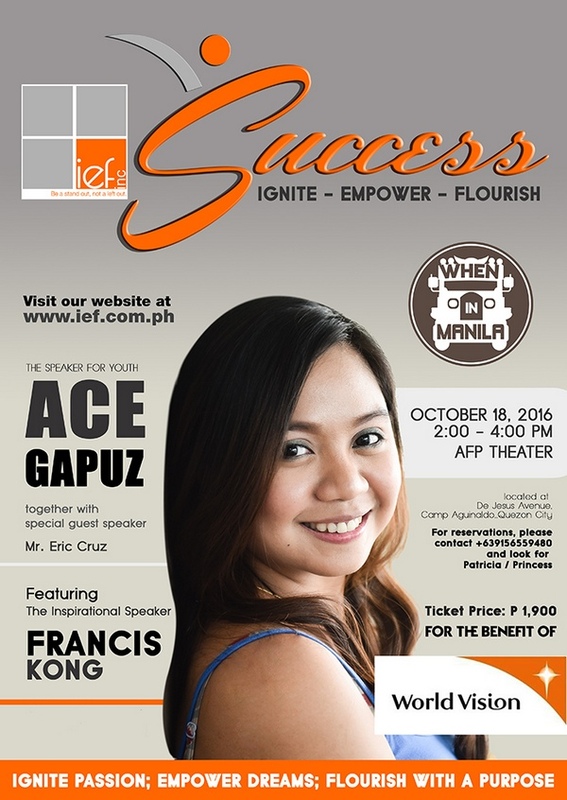 For reservations, please contact +63 915 655 94 80 and look for Patricia / Princess. 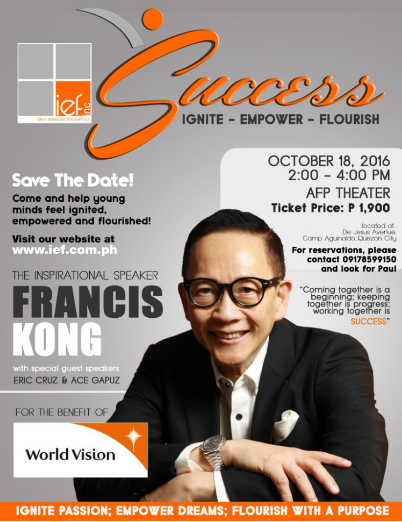 Through World Vision, this event will support the education of ten kids in Zamboanga, for a minimum of one year.